Food packaging designed and printed here at KPS. 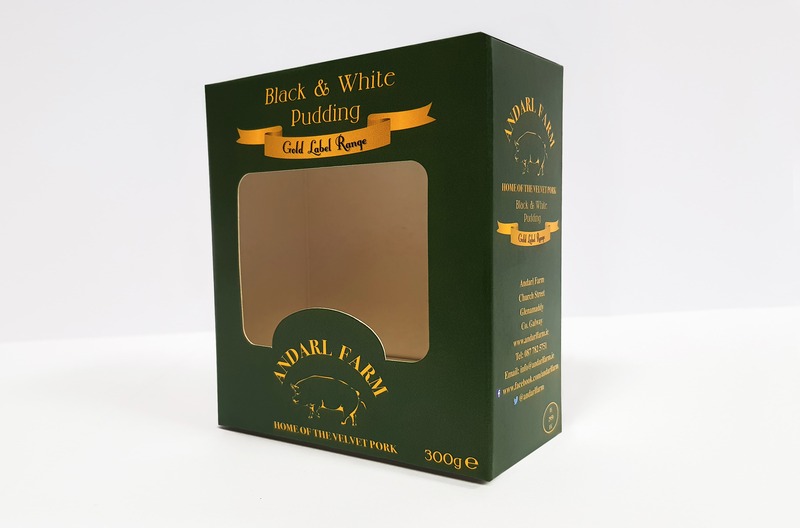 Andarl Farm the home of velvet pork provide a range of excellent pork and bacon products. 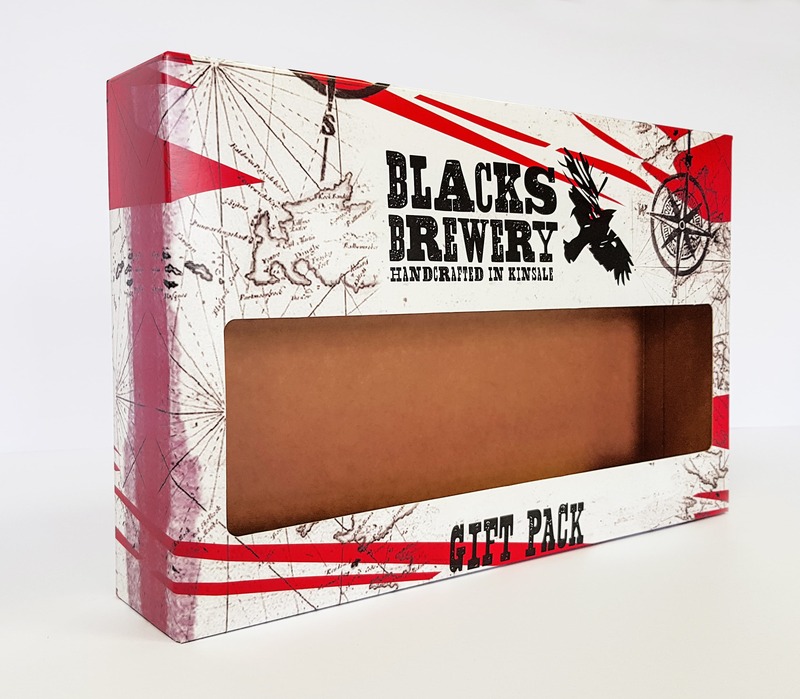 Blacks Brewery Gift Packaging. A fabulous product with some tasty beers. Printed litho, die cut using a custom key line and then glued to finish. 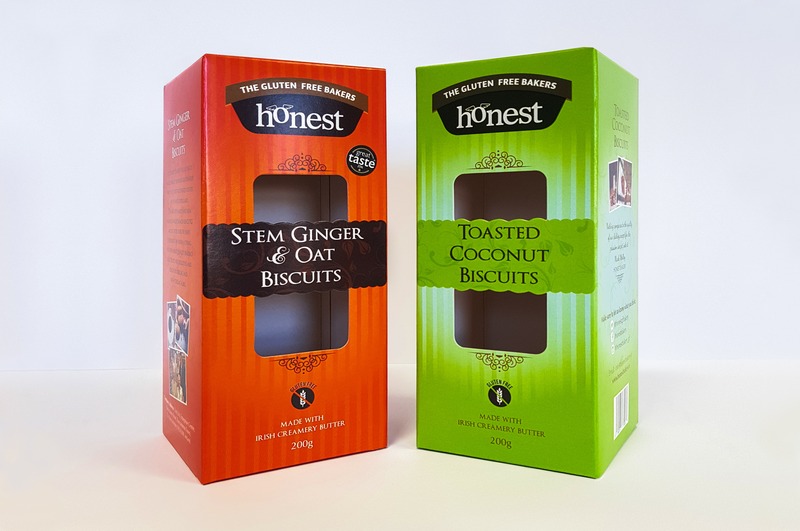 The Gluten Free bakers packaging is bright and attractive to grab off the shelf. Printed litho and die cut the packaging is an excellent reflection of the product. 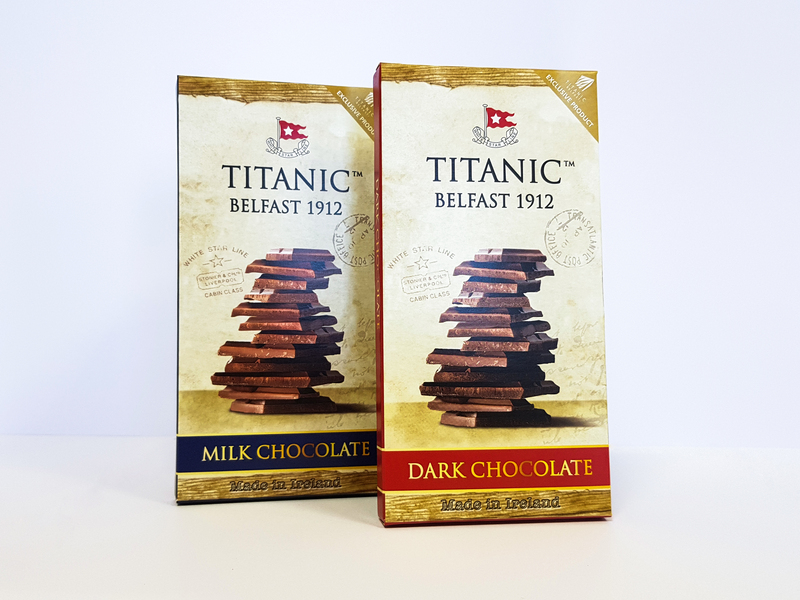 This exclusive packaging created especially for Titanic Belfast. This product was printed and finished here at KPS. We can assure you that the chocolate tastes just as good as the packaging looks! 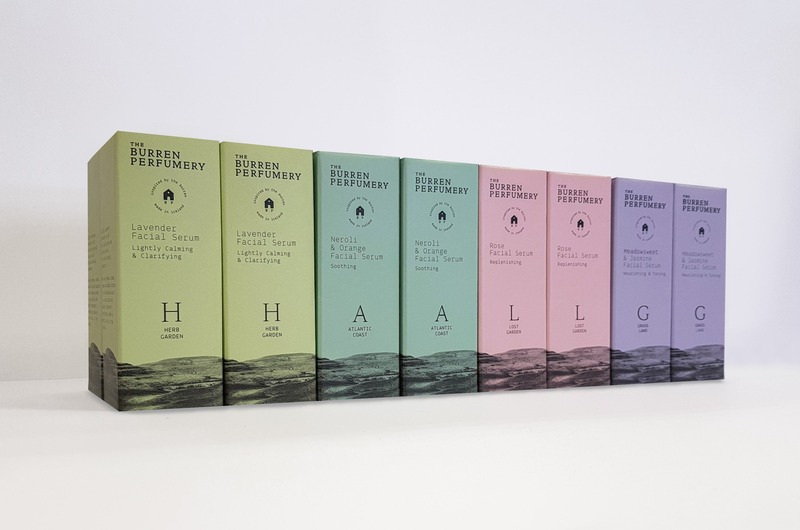 A selection of Beauty Packaging for the Burren Perfumery Serum Collection. A selection of 4 serum’s printed using Pantone colours and a matt varnish. A bespoke key line was used in order to die cut the finished product. 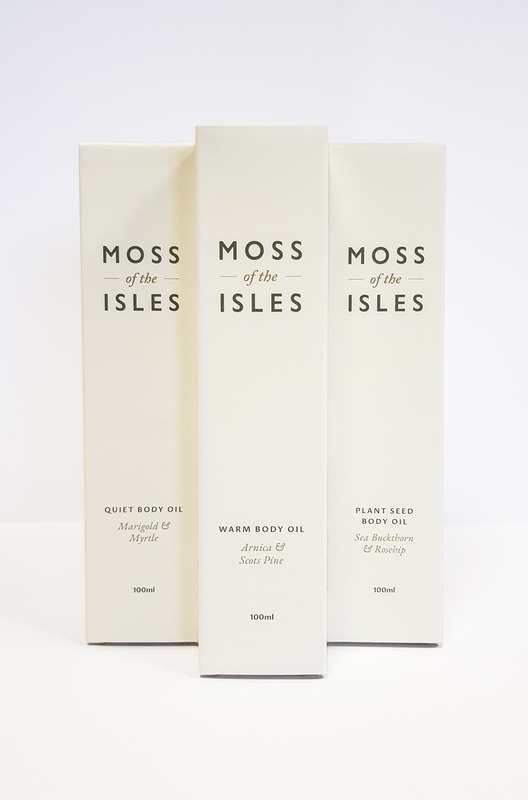 Body Oil Packaging for Moss of the Isles range of oils. Three packages in the collection. Printed litho on uncoated board and diecut using a bespoke keyline. Luxury Packaging printed for the Burren Perfumeryby KPS. KPS are the chosen printer for all the Burren Perfumery Products. They are a beautiful product to work with. Gift Box Packaging for retail. 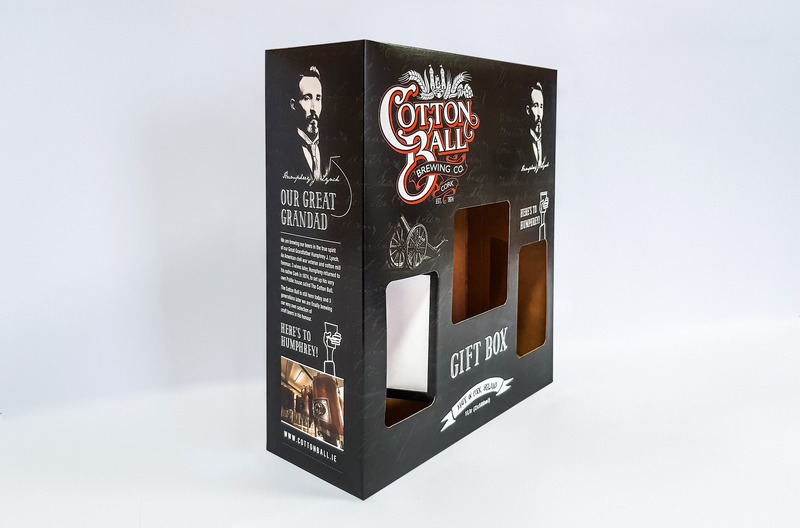 The Cotton Ball Brewery company’s gift box for the festive period was printed and finished here at KPS. This was printed Litho on a silk board and then die cut using a key line to finish. 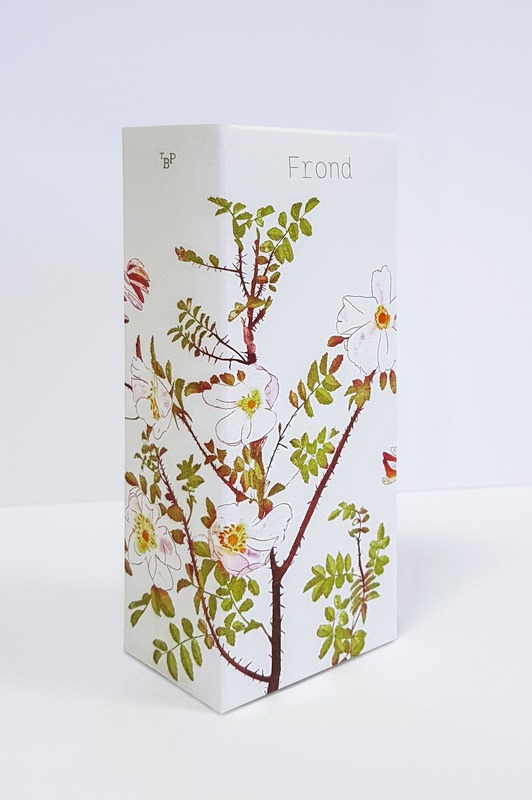 The Luxury Confectionery Company’s chosen printer for Confectionery Packaging. We are well established in the packaging industry and have won numerous awards. More importantly KPS were privileged to print the entire Christmas range for Aunty Nellies. The collection was printed on a heavy uncoated board which gave a natural retro finish to the product. Chocolate packaging printed by KPS Colour Print. 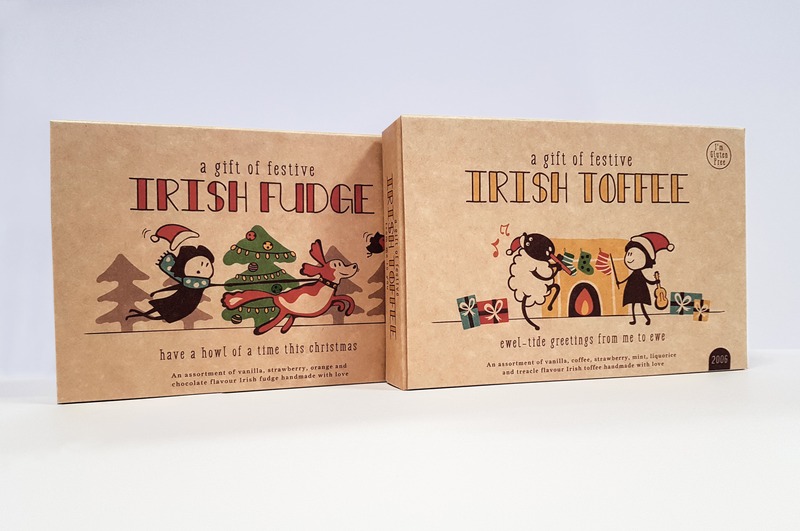 I know we’ve all had our fill of chocolates over Christmas but check out this fab packaging. 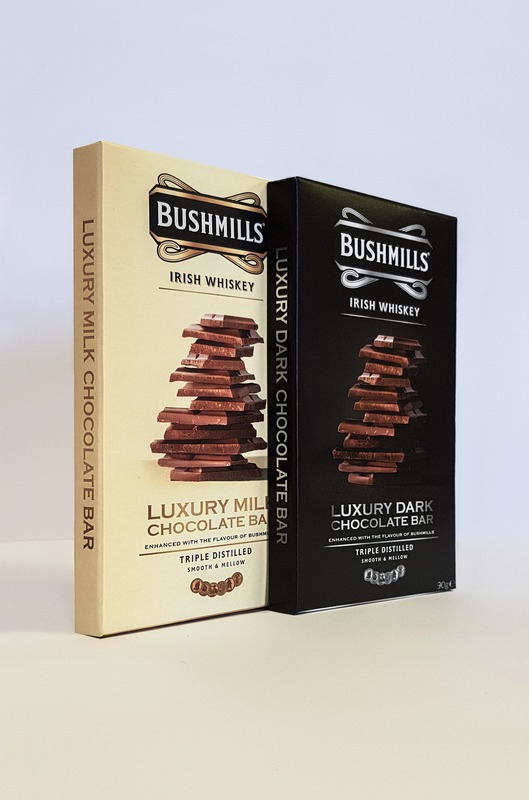 The chocolate boxes were printed for Bushmills Irish Whiskey.